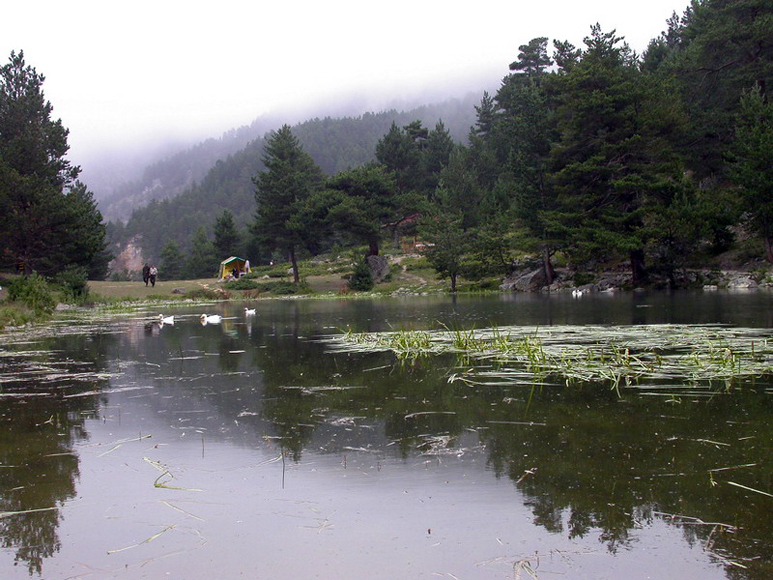 Gumushane and its surroundings constitute a transition point between Eastern Anatolia and Black Sea Region. It is a city on historical Silk Road between China and Trabzon, where historical and natural beauties embrace each other, and it was named as Gumushane because of its rich silver mines. The city, 100 km away from the sea, has a virgin and wealthy tourism potential for its fine weather of micro climate, unique natural beauties, cave rich in forms and reminding one of a unique painting, almost 450 plateaus, antique cities, natural park areas, rich flora and fauna. The climate in Gumushane is fairly dry in summer and rainy in winter and spring generally. The more you go above sea level, the more significant become the characteristics of continental climate. The archeological findings in Gumushane district have showed that the settlement in this area can be traced back to 3000 B.C. The first communities who are assumed to settle here were Azzi and Hayashasi in the middle of 2000 B.C. Moreover it is known that Assyrian merchants, who came from Mesopotamia in 2000 B.C., were interested in this region because of its mineral deposits. The region was a wealth source also at the time of Hittite Empire because they operated mineral deposits there. After Hittite Empire had collapsed, the region was dominated by Urartus and invasions of Cimmerians and Scythians began to the end of 8th century. In this period, most people left their homes and began to migrate into the south and the west. Later, the region was ruled by Meds, Persians and Pontus Kingdom. In 1st century B.C., rule of Rome was seen in this region. Located within borders of Byzantine Empire land in 395 A.D., Gumushane was among the lands which were subjected to Byzantine-Caspian military cooperation in 7th century A.D. Ruled by Arabs in 7th and 8th centuries, the region became the land of Byzantine Empire once again later and conquered in 11th century by “Saltuklular”. When Sultan Mehmed the Conqueror collapsed Trabzon (Trebizond) Empire in 1461, he incorporated Gumushane into the Ottoman Empire. The districts of Gumushane are; Kelkit, Kose, Kurtun, Siran and Torul. It is the largest district of Gumushane. Within its borders, significant historical settlement areas exist. Among the remnants of the city, established by Byzantines, there are city walls, churches, water ways and aqueducts, relieves and sculptures. 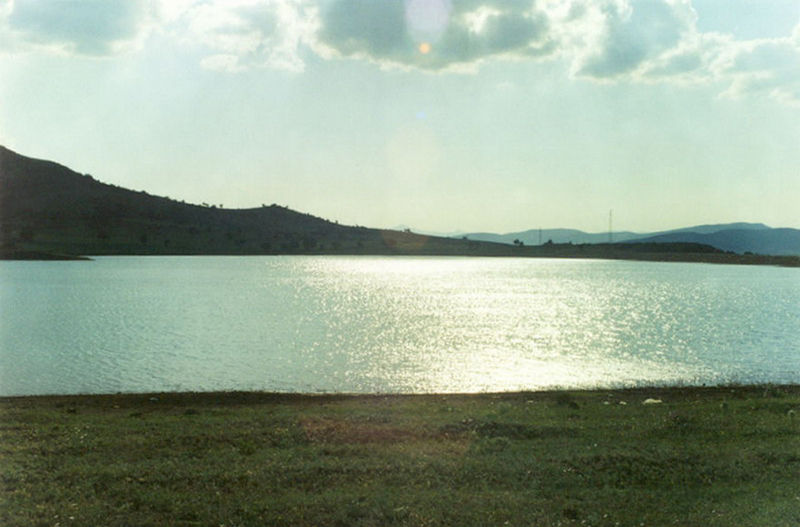 Established near Harsit Stream on Tirebolu- Torul transit highway, the district has rather mountainous land. Surroundings of Kurtun district seem almost like a forest sea with its very green forest areas. The district has a rich cuisine heritage, which has been conveyed from one generation to another so far, and it still maintains its importance today. Evelek dolmasi (vegetable stuffed with a mixture of meat and rise), kalem (pen) dolmasi, siron, fit fit hasili and pirincli borek (flaky pastry containing rice) symbolize the taste of the region. Tomara Fall is in Seydibaba Village, southwest of Siran district. The waters of the fall spring from a 15- 20-m- place, almost shattering the rocks, and fall into the water course from a 20- 25-meter-height. It is a masterpiece of nature that is worth to see. It was established around Harsit Stream. The district is rich in terms of touristic places. Karaca Cave, Zigana Mountain, Limni Lake, Yedi goller (Seven Lakes) and historical bridges are just a few of them. It was the first settling area, which is 4 km southwest of current provincial center and founded at the sides of Musalla Stream falling into Harsit River. Known as Zaha/Zanka (later Argyropolis, Canca, Eskisehir), the information about the first settlement area is not definite. It is known that there are about 35 castle ruins in the district. They are assumed to have remained from Roman and Byzantine periods. 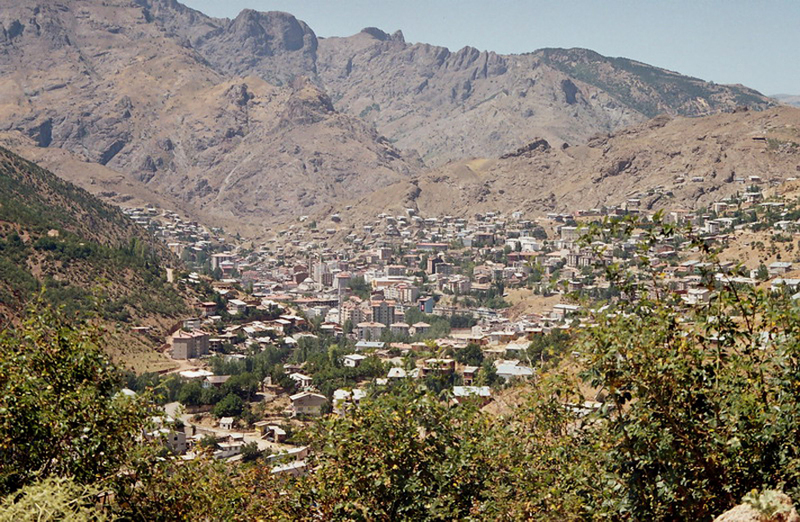 Within the borders of Yagmurdere Sub-district, it is 90 km away from the county town. It is supposed that the settling area was established in 17th century. The area was composed of nine neighborhood and more than three hundred buildings. 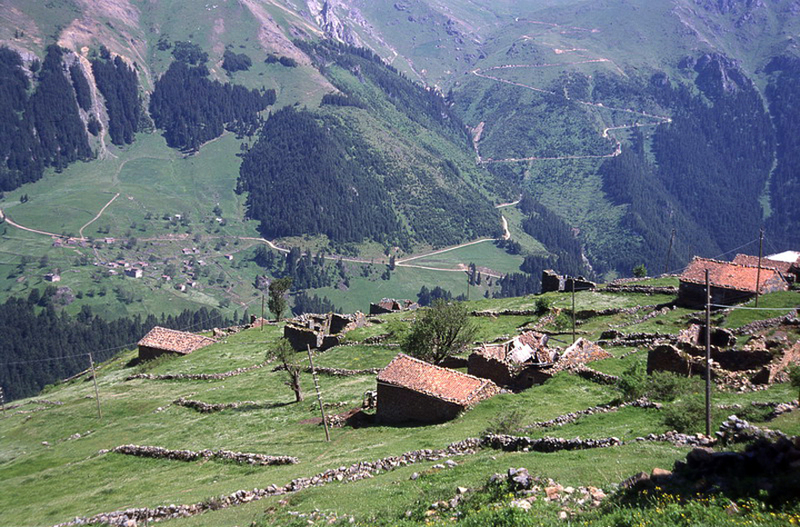 It is in Sadak Village which is 17 km southeast of Kelkit district. When brick pieces, on which there was a XV. Legio Apollinaris emblem, were found in the region, it became definite that the place was the antique city of Satala. Byzantine historian reported that the city had been established in a plain surrounded by hills and that the Emperor Justinianus had restored the city walls. Satala city was established and developed around Rome Legion Camp and became the center of Latin culture during Empire period. Satala Castle, aqueducts, theatre, agora and other building ruins can be seen in the city and around it. 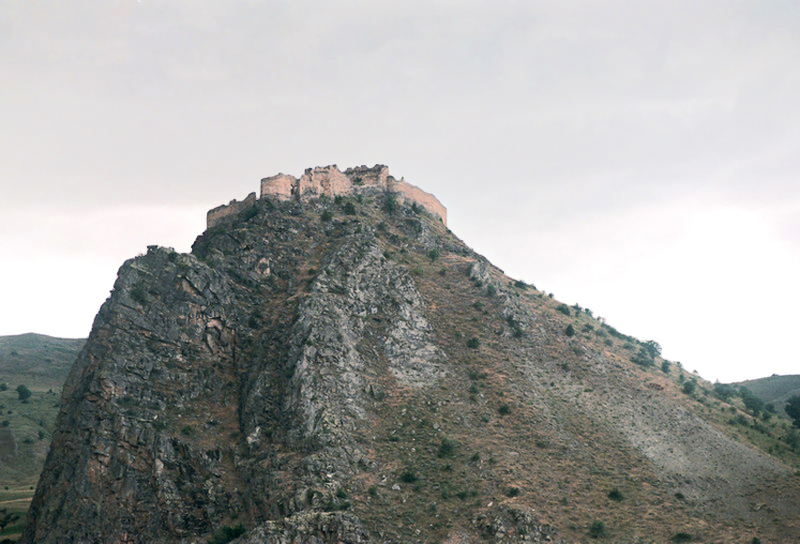 The castle can be arrived from Vank Village and a valley called as Kale Deresi (Castle Stream). Evliya Celebi mentioned this castle in his “Seyahatname” (travel book). The castle is made up of three parts, extending from east to west, back to back. It is also supported by high walls. 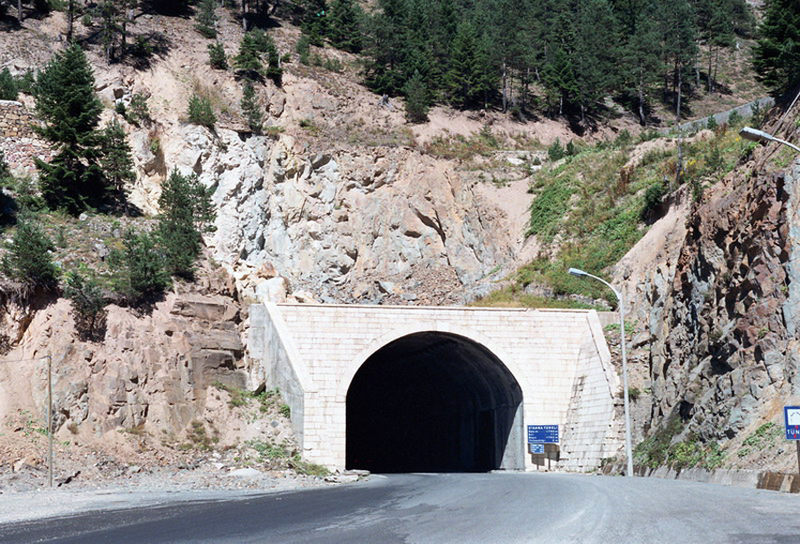 Within the borders of the provincial center, it is in Esenyurt Village (called as Kov before), which is on the 21st kilometer of Gumushane- Erzincan highway. The castle can be accessed by a stabilized road which separates from the highway. It is in Baglarbasi quarter of Gumushane. Although it is mentioned as a castle, it is a small fortification place. The castle was built benefiting from a mass of rocks. Later, the top part of the castle collapsed completely. It is within the borders of the provincial center and on a transit road passing through Kale Sub-district. Local people called this castle as Kokanes or Koans. Having a splendid external view, this castle takes place on a cliff, has two routes and entered from the east side. Two structures inside the castle attract attention. Round arches a little above the ground level, belong to the places in rectangular shape. Since there is not any window of these two back to back structures to provide light, they are estimated to be used as dungeons. Also in the castle, there are water ways leading to the valley. Although it is not known when the castle in Torul district was built, it is supposed to have remained from Genoese period. It is known that Sultan Mehmed the Conqueror took this castle after death of Uzun (Long) Hasan, and some part of castle walls are still in good condition today. It is between mountains, north of Dibekli Village. The inscription place, on the entrance constructed between two mountains, is empty. There are watchtowers on the rocks near the castle and inside the castle; flat-based small sections of which walls have niches exist. Around the building, there are stone steps, a circular ruin of a structure and a water reservoir. Pieces of pots, clays and tiles, glass materials, tear bottles; icons and jewelry belonging to various periods were found here. It is in Gumustug Village which is 30 km far from Torul district. In the ruins on both sides of the river, arms remained from Byzantine time and coins stroked with “Konstantinata” were found out. It is known that the five 1.5-meter-high columns on the left side are ruins of a temple. 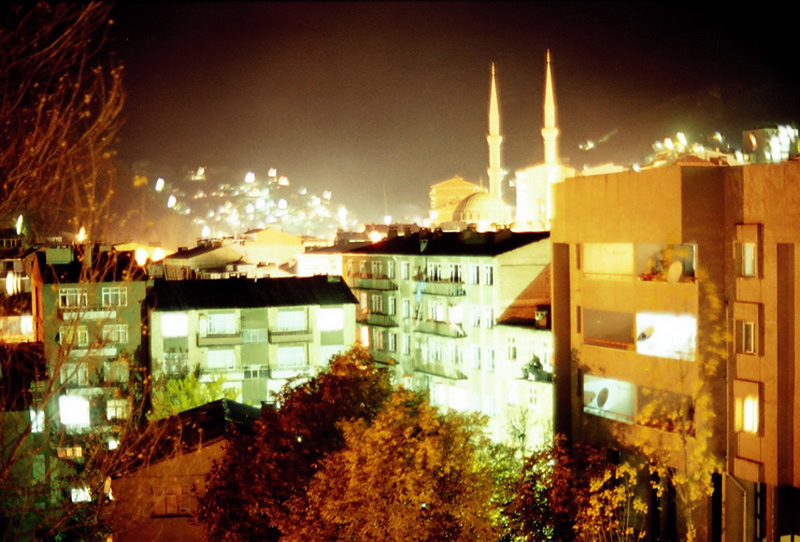 It is in Suleymaniye Neighborhood within the old settling area of Gumushane. Built by Sultan Suleyman the Lawful, the Mosque has lost its originality because of restorations. Carrying on Seljuk’s tradition, the mosque in rectangular shape is composed of three naves extending vertically to Mihrab (niche in a mosque wall indicating the direction of Mecca). 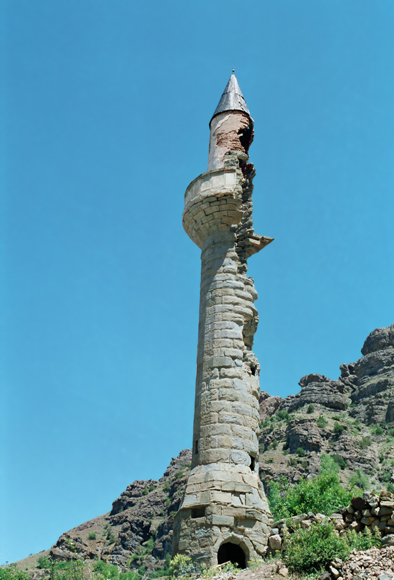 The minaret with a thick, cylindrical body is still strong. The madrasah attached to the mosque could not survive today. It takes place within the gardens, which are behind Suleymaniye Mosque in old Gumushane settling area. The information about its construction is not certain. It is supposed to be built after the settlement of “Danishmendliler” in 12th century. The basic plan is that of a square roofed by a single dome. The dome, which is about 10 m high, was bonded by small stones. Doors and windows are circular arched. The sharp-arched mihrab was made of grey stone. It is on Gumushane- Erzurum road, in Tohumoglu region. It is assumed to belong to Seljuk State period. 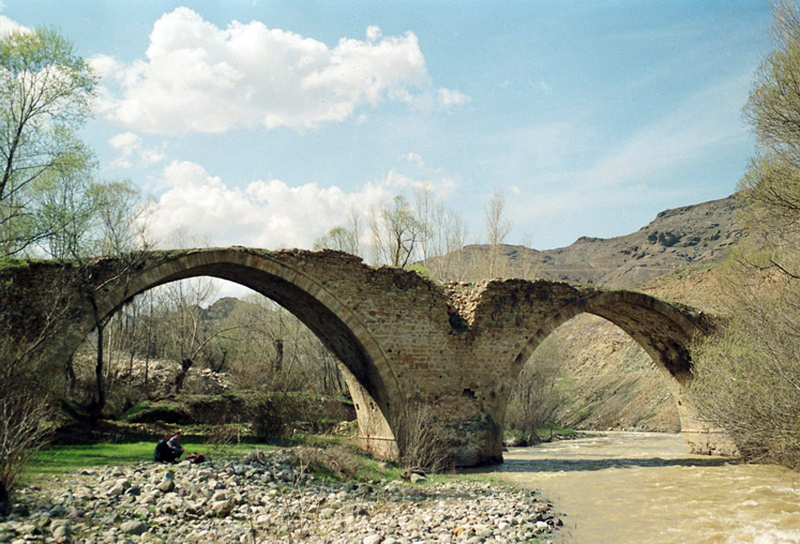 Made of small stones, it is a two eyed and slightly sharp-arched bridge. The Bridge is on Gumuskaya road. It is one-eyed and made of hewn stone. Slightly sharp-arched bridge has still been used today. There are two bridges of the same name; one is in Buyuk Cit Valley and the other is on Cit Stream. Both bridges are supposed to be built in order to arrive at Virgin Mary Church. Slightly sharp-arched and made by arranging small stones, it is a one and wide eyed bridge. It is still of use today. 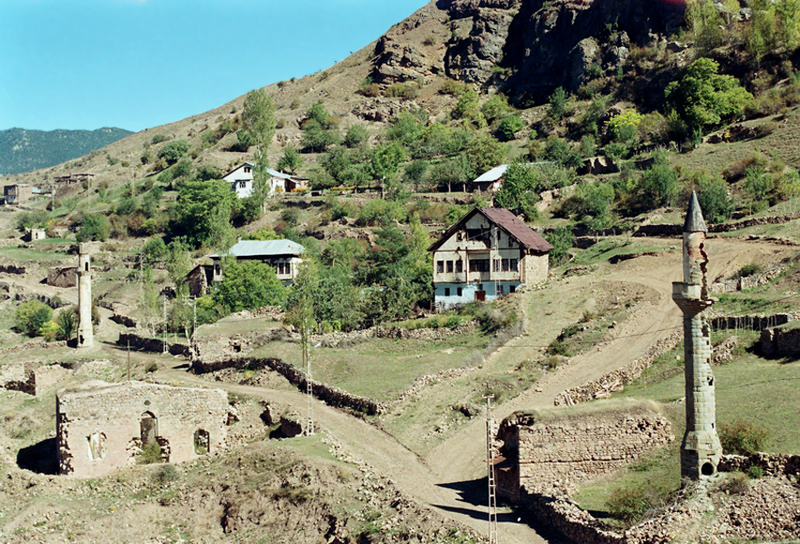 In the center of Gumushane, on Harsit Stream, connecting two streets into each other in a region called Koprubasi, the bridge is made up of two eyes; one is large and the other is small. There is a structure inscription between two eyes of the bridge, made of hewn stone. According to the inscription written on marble by sulus calligraphy, the bridge was built in 1575 by Halifi, son of Ferruh Zad. This date corresponds to the time of Sultan Murad the Third. It is in Canca Neighborhood of Gumushane. Taking place on Harsit Stream, the bridge is one-eyed and made of hewn stones. Having been restored partially, the bridge does not have an inscription. The Bridge, which is in Torul’s county town, made of hewn stones in 1890. It was erected on feet; two of them in the water course and the others are on both sides. There are circular arches between feet. The bridge railing was also made of hewn stones. Basic construction materials are stone, mud brick and wood. They are composed of a courtyard and the rooms arranged on the sides. As the ground floor of these houses is of daily use, it is made up of kitchen, bathroom, WC, larder and other places of daily life. Upper floors and the attic are designed as bedrooms and guest rooms. The external view of the houses is in harmony with the natural landscape marvelously. They have the quality of establishing a pattern for contemporary architecture in terms of their types and beauty. The rooms, which take place in Saricicek Village of Gumushane, are 27 km far from the Centrum. Built by Haci Omer Aga to host the guests who come to the village, the rooms have a history of 200 years. They reflect the power of folk art with their woodwork, colorful paintings, and with the freshness and elegance of the first day. Wood parts were put together by a different technique without using any nails, and fascinating elaboration motifs and a wood decorating style, made of stylized leaves in rokoko-style, were used. It is one of the beautiful and interesting examples of Turkish Architecture. 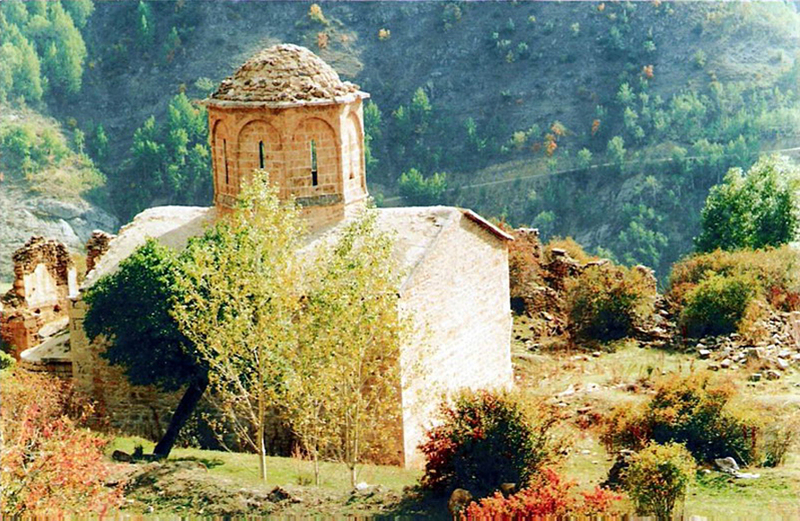 On the right side of the road to Hutura Village, there is a monastery ruin and a church on a hill. 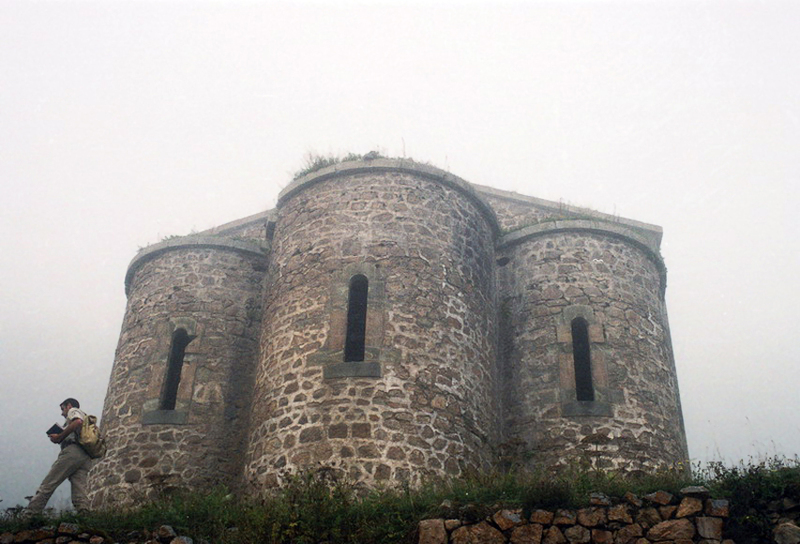 It was built in the first half of the 14th century by Trabzon Prince Aleksios Komnenos. The basic plan is that of a cross roofed by dome. It was widened from east to west by one transept set in front of the abscissa each. There is main portico on the west side. The building was decorated by plant (grape, curled branch, palm tree) rope and dragon motifs. Symbols of Christ and St. Georgios were drawn upon the windows. 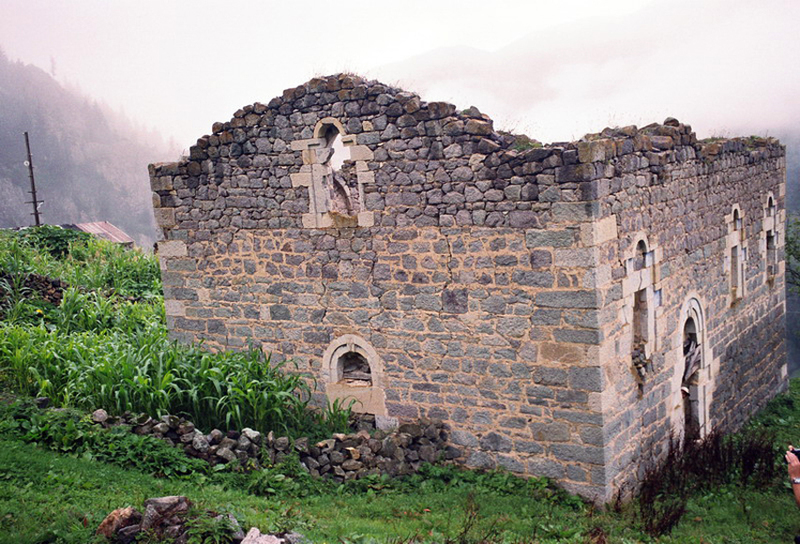 The church is within the borders of the provincial center and on the right side of the road going from Mescitli Village to Arnavutlu Plateau. It is small and rectangular in plan. Gate of it is flat and there is cradle vaulted facade on it. Although the frescos inside have still been visible, they are ruined in general. 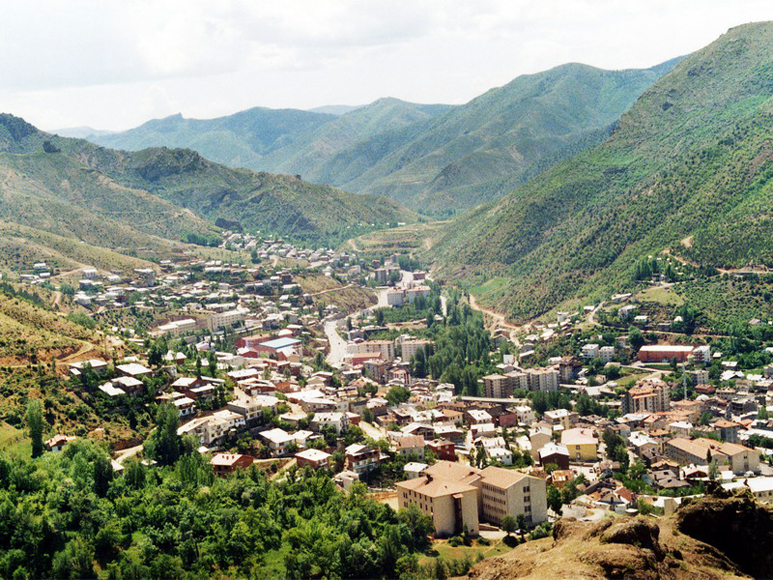 It is in Cakirkaya Village of Siran district. It is made by craving rock mass neatly and careful workmanship. The basic plan is that of basilica with three naves in the direction of east to west. There are rooms in front of the church and a rock chapel beside it. Taking its similarity to Trabzon Churches in terms of plan and architectural components into consideration, it is dated to 14th century. Middle columns collapsed. The church is an interesting model for its being a rock church. It is on the slope, which is on left side of Cit Stream in Cit Valley of Torul District. The courtyard and church ruins surrounded by high walls can be seen there. It is known that the church was established first in between the years of 890 and 900 by three monks. Planned like a cross, the church has three circular abscissas. The dome covering the main place is similar to the one of Trabzon Hagia Sophia Church. It is in Olucak Village which is 15 km away from the Centrum. Olucak (Imera) Village is an old settlement. Monastery is one of the buildings in the settling area that reached today in good condition. It was built on a wide area overlooking the village. There is a chapel and a few small rooms on the north side of the garden wall. It is stated in its inscription that it was built in 1350; however it is supposed to be restored within 19th century. It is in the center of Cakalli (Yaylakoy) settlement. The basic plan is that of a basilica with three naves. The main walls of the church are in good condition in general. The covering collapsed completely. One of the two gates is on the west side, and the other is on the north side. Well-balanced lighting is provided by windows on the side walls and on abscissas. Sculpture stone was used in the corners. The church displays the characteristics of 19th century architecture. Within the borders of the provincial center, the chapel is in Pavrezi near Mescitli (Beskilise) Village. It is a small, rectangular in shape, and one-nave building. On the cradle vault of abscissa, there is an inscription displaying that it was built in 1405. The building is well-known for its frescos decorating interior walls. In these drawings, scenes from the Bible and church masters were depicted. These are considered as successful examples of Late Byzantine Art. As an important settling area in the past, Santa (Dumanli) is 45-50 km away from Gumushane. In the neighborhoods of this region: St. Theodor Church in Terzil, Prophet Ilyas Church in Binatli, St. Kiryaki Church in İshan and St. Christopher Church in Pistoflu of İshan, Cakalli Church in Cakalli, St. Konstantinos and St. Petros Churches in Cinganli Neighboorhoods are the significant ones. They have been estimated to be built around 1860 or 1870's. The churches draw attention for their original door and window frames, cross relieves and campaniles (bell towers). (Soguksu In-Forest Resting Place) Limni Crater Lake and its surroundings in Zigana Village of Torul District, fascinate visitors with its rich flora and fauna, and its fresh air which has a feature of special climate, and with its wonderful natural beauties. It also provides health and peace with endemic plant types more than 200, and camping and caravan facility. 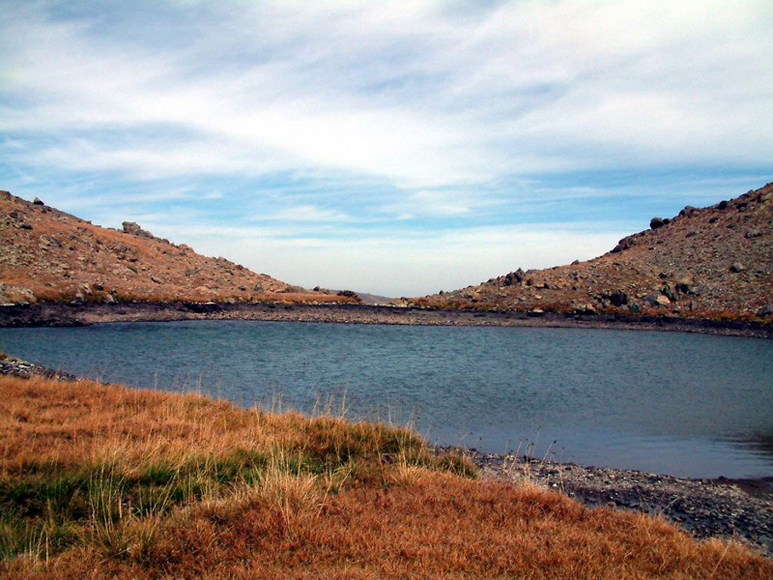 Limni Lake is reached through Torul district which is 25 km away from Gumushane. 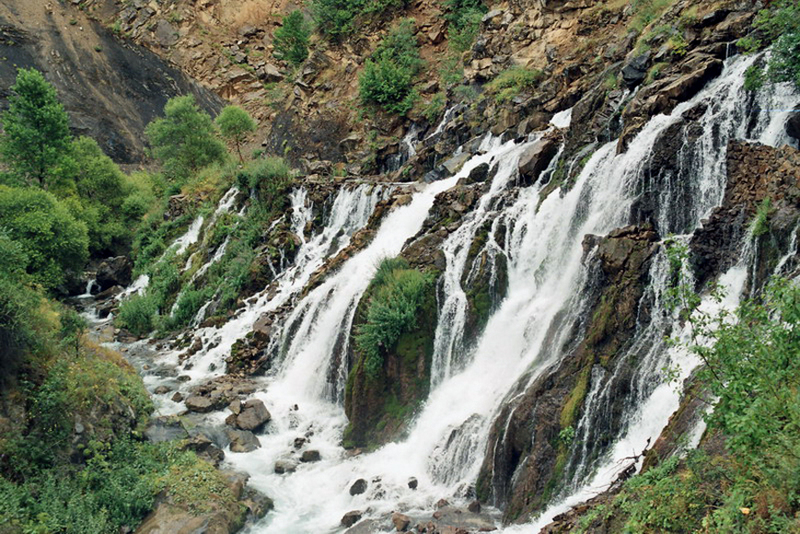 The Fall is in Seydibaba Village, 25 km far from Siran district. Tomara Fall springs from a 15- 20-m- place, almost shattering the rocks, and fall into the water course from 20- 25 m high. It is worth to see the harmonious scenery of the fall and its surroundings set up with rich flora. There are eating and drinking, and recreational facilities around the Fall. They are situated within the borders of Torul district. The area can be accessed most conveniently through Gulacar Village which is 50 km far from Gumushane. 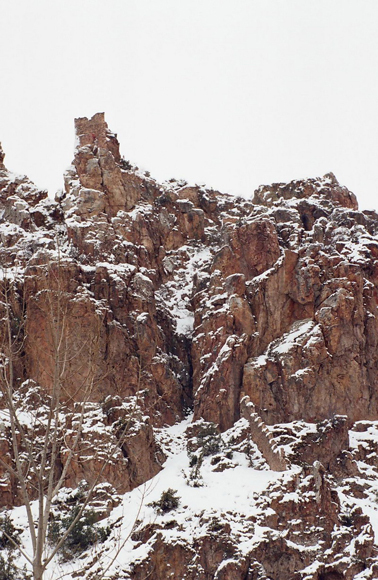 The region is filled with formations resulting from volcanic activity which continued in two different geologic time periods. There are 18 crater lakes in the area. 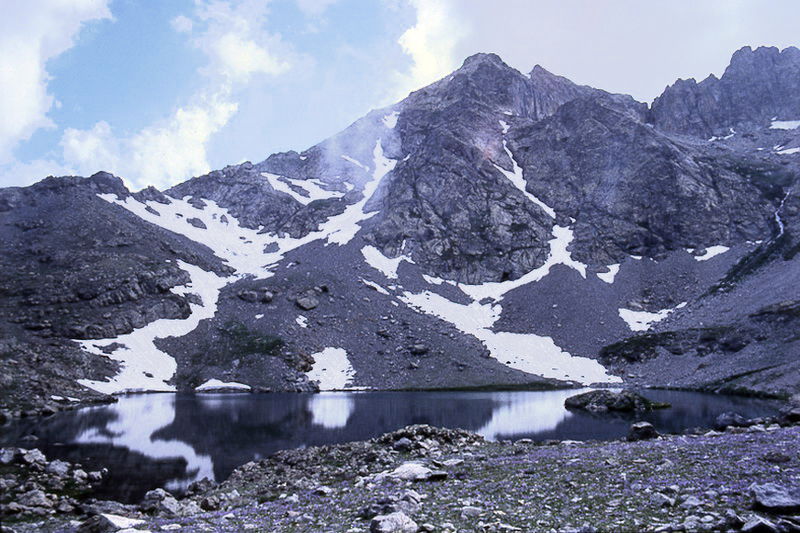 Artabel Lakes are of high value in terms of its rich geologic, geomorphologic, flora and fauna characteristics and also in terms of landscape features. A 5859-hectare-area was allocated for a Nature Park in 1998. Gumushane draws attention also for its centuries-old trees like nature monuments. Among these; Evliya Juniper (700 years old), Ali Aga's Poplar, Orumcek Ormani (Spider Forest) Spruce-1, (450 years old), Spider Forest Spruce-2 (500 years old) and Anit (Monument) Fir Tree can be counted. In Gumushane, Spider Forests Nature Protection Area and Yukari Kulaca, Mahmatli and Camalli Villages’ Wildlife Management Areas also exist. 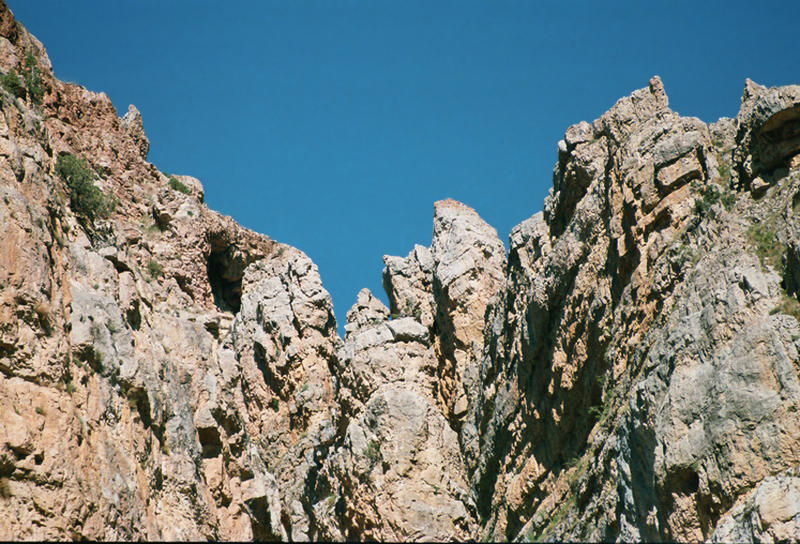 Because of the geological structure of Gumushane there are many little or big caves around. The most important of them are Karaca, Arili, Kartalkaya, K. Ardicli, Ambela, Koprubasi, Tasbasi, Altintas, Yaylim, Ustuacik, Cingora, İnonu, Kabanbasi, Mamatlar, Arsa, İkisu caves. Karaca Cave, which exists within the borders of Cebeli Village of Torul district, is 17 km away from the Centrum. It is 1550 m high from the sea level and can be arrived by following a 4-kilometer route which separates to the north from Gumushane- Trabzon highway on the 12th kilometer. The road after the main tour route is a 4-kilometer, two-lane, asphalted road which provides comfortable travel for tour buses. There are facilities in the cave district such as countryside cafes and recreational facilities to meet the needs of visitors. Karaca Cave is rich in terms of dripstone formations. These dripstones have many varieties in color and shape. Inside the cave, stalactites, stalagmites, columns, walls in organ shape, flag figures and curtain dripstones, cave flowers, cave pearls, elephant ears, travertine pools, travertine steps, and also the cave roses, formed on the small stalagmites of dripstone pools, are fairly interesting. The dripstone pools in the cave are very large. Considering the cave as a whole, it is perceived that the cave is 150 m long from the entrance to the end point. The height of ceiling is 18 m on average. Total interior area of the cave is 1500 m2. In Gumushane, one of the cities of Turkey which are rich in terms of plateaus, Zigana, Kadirga, Erikbeli, Sazalani, Cam Picnic and Kalis Plateaus are the most significant ones. It is arrived by a 3.5-kilometer stabilized road to the east, after passing through Zigana Tunnel which is on the 60th kilometer of Gumushane - Trabzon road. Zigana can also be reached by a 112-kilometer asphalt road from Trabzon provincial center. Zigana Plateau, which is 2032 m high, is also a ski center. All kinds of infrastructure services have been provided. 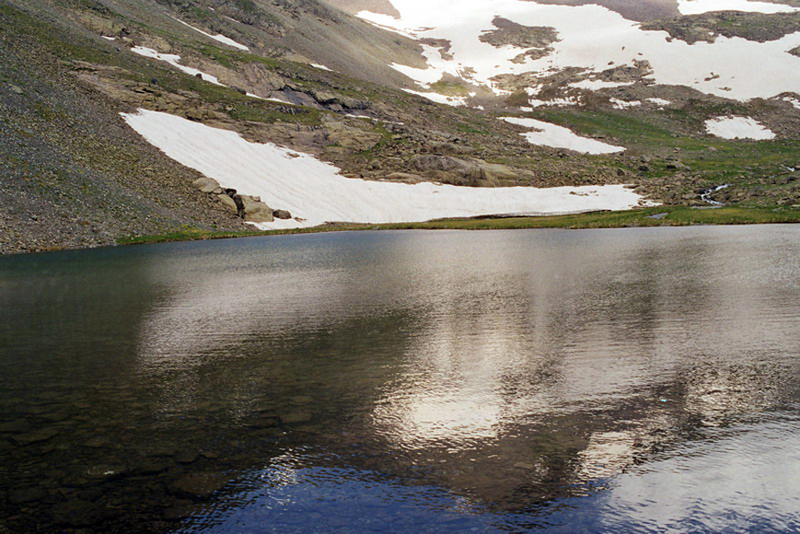 Zigana is one of the unique places in Turkey, which allows grass skiing in summer months and ski tourism in winters. It is an interesting region displaying the characteristics of both wet maritime and continental climates. The skiing season begins in December and continues to April. The snow thickness is about 100- 150 cm. There is one teleskis and a Baby-Lift facility in the ski center. The length of the facility is 661 m and it has a capacity of 843 person/hour. 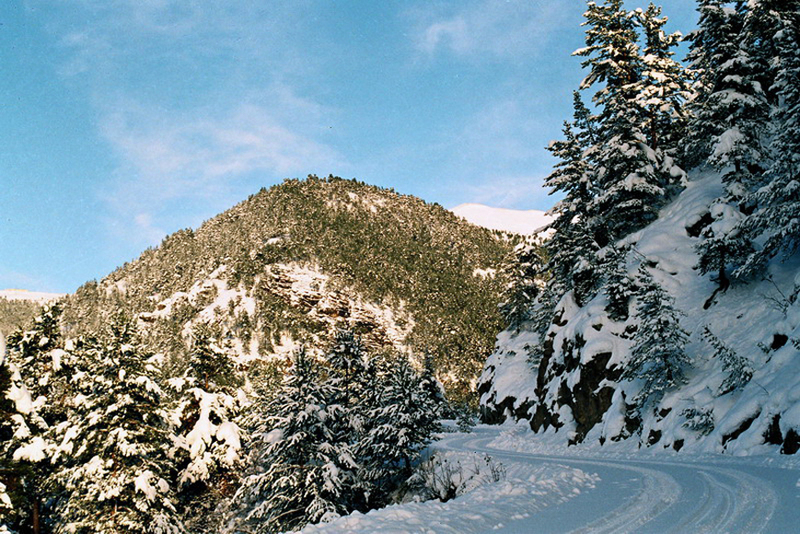 The ski trail is 100-200 meter wide and average slope is 20%. It is arrived by turning to Siran route from 15th kilometer of Gumushane - Torul road and then by a road (the one with a12-km dirt road and a 40 km asphalt road) passing through Haskoy, Gulacar Villages. It is 67 km away from Gumushane. 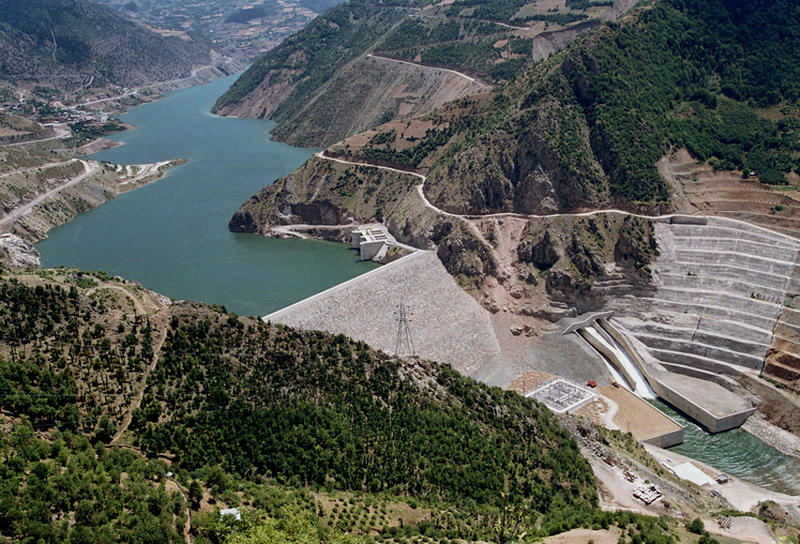 Altintaslar Stream passes through the plateau, of which infrastructure has been completed partially. Trout are abundant in this stream. One can arrive Cam Picnic by turning to right after going 2.5-km on Gumushane- Bayburt road, and then by following a 15-km dirt road. There are electric and water facilities, and also camping fireplaces in the forest, garbage collection areas, a fountain, and WC. Filled with fir, spruce, alnus and wild hazelnut trees, the Cam Picnic is used a promenade by local people. It is reached by a 24-km dirt road to the south from Tonya district. On the Plateau, which is 1800 m high, all basic facilities were completed. Erikbeli Tourism Center is on the intersection point of the roads leading Kadirga, Catma Obasi, Sazalani, Zigana and Ken plateaus. Erikbeli, Sazalani, Ken, Sinlice, Sikkirani and Sis mountain plateaus are favorable for trekking. Ken Plateau is 9 km north and Sikkiran Plateau, within forest, is 19 km north of Erikbeli Tourism Center. Located 5 km west of Erikbeli Tourism Center which is 24 km away from Tonya, Sazanalani Plateau is reached by a dirt road. 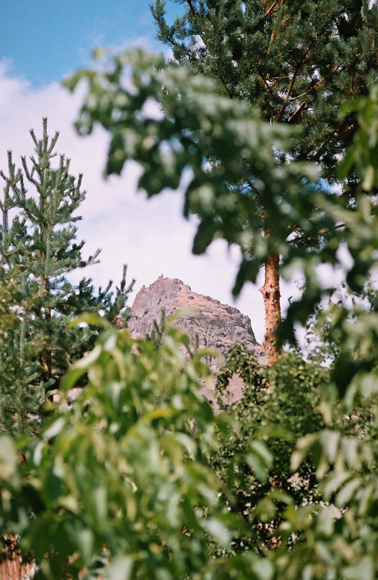 On the Plateau, which is 1700 m high, basic facilities are provided. 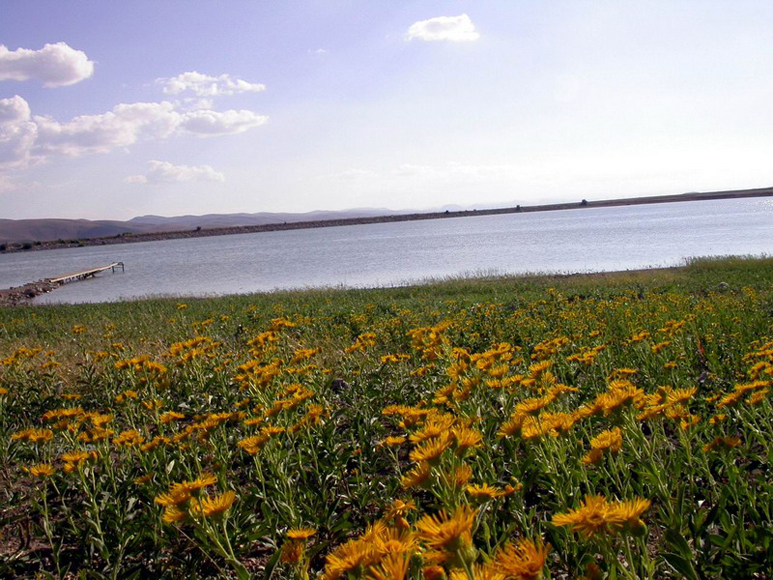 Kadirga plateau is 14 km east of Erikbeli Tourism Center which is 24 km away from Tonya. The plateau is 2300 m high and above tree growing border. Thousands of people come to Kadirga Festival, celebrated on the third Friday of July, every year. Tons of meat, breads, and churn airan are consumed during folk dance shows, contests, entertainments with a lot of hoopla and thus Kadirga Festival resembles to a great bazaar or a fair. Gumushane is a peerless place for sports activities with its abundant oxygen, untouched forests and green plateaus hidden among these forests. Most of these plateaus are favorable for tent and caravan camping. Zigana, Taskopru, Kazikbeli, Kadirga, Artabel, Erikbeli plateaus are ready to provide whatever necessary for this facility. The plateaus also have tracks convenient for trekking. One can go on a bicycle tour between some of these plateaus. In the region, caving is also important all by itself as a sport activity. Skiing facility is available on Zigana from December to April, which is 40 km away from Gumushane. Gumushane’s cuisine culture is of long-standing, as well. Gumushane mantisi (meat pasty), rose hip soup, zuluflu soup, un herlesi soup, gavut soup, pagla denlisi (a dish with green bean and bulgur), borani ( a hot dish with olive oil, tomato, onion, green pepper),fitfit hasili, potato roasting, muhla, yergok stuffed vegetable, milky hasil, curd stuffed vegetable, bread food, citma bean, kaygana, siron, homemade macaroni, lemis, homemade macaroni dessert, hasude kuymagi, black halvah, burma, tel halvah, lalanga are among its well-known foods. It is possible to taste trout and local dishes in the catering facilities on main tour route of Trabzon-Gumushane Highway. You can both taste and give the rose hip products, pestil-kome (thin sheet of sun-dried fruit pulp) and walnut as a gift to your friends. You can purchase zilli (bell) kilim from Kelkit, silk and wool carpets of Hereke type and woodworks from Torul and Kurtun districts. A natural blood store, mulberry molasses, Gumushane kasari (a pale yellow cheese made of sheep's milk) produced in Siran Milk Factory, handmade wool socks and silver works may be added to your shopping list, as well.